These were the ringing words of faith uttered by young David as he faced the Philistine giant, Goliath. Without armor, or spear, or shield, and with only a sling and five smooth stones, David confronted the nine-foot champion of the pagan army in the name of the true God, and soon the giant lay dead with his face to the ground. The battle must always be the Lord’s. “For we wrestle not against flesh and blood, but against . . . the rulers of the darkness of this world, against spiritual wickedness in high places” (Ephesians 6:12). Spiritual battles are not won by bullets, nor by ballots, nor by any human means. “Some trust in chariots, and some in horses: but we will remember the name of the LORD our God” (Psalm 20:7). “There is no king saved by the multitude of an host: a mighty man is not delivered by much strength. . . . Behold, the eye of the LORD is upon them that fear him, upon them that hope in his mercy” (Psalm 33:16, 18). It is easy, in trying to do a work for God, to rely on human abilities and devices, but these will fail, for the battle is the Lord’s. When the battle is going well, we must not boast, for the battle is the Lord’s. When the battle is going hard, we must not despair, for the battle is the Lord’s. 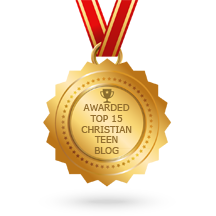 This entry was posted in A CLICK A BLESSING TODAY, CHRISTIAN NUGGETS and tagged The Battle Is the Lord's. Bookmark the permalink.